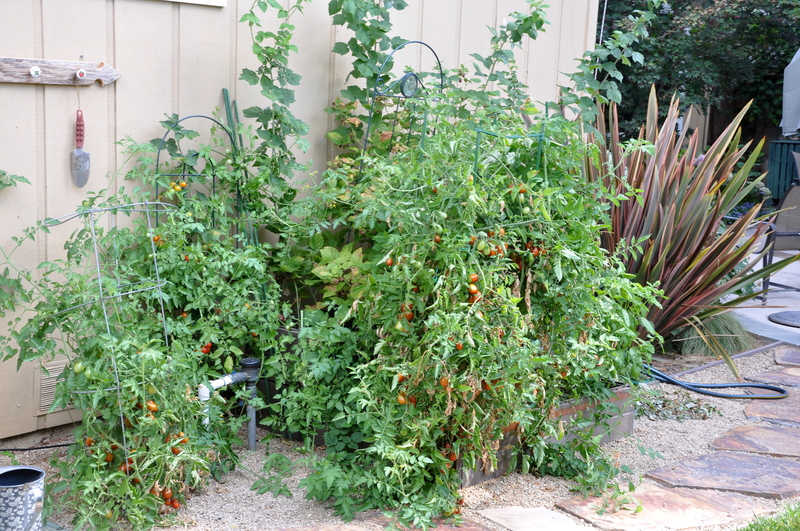 The heirloom tomato plants pumped out fruit all summer long. 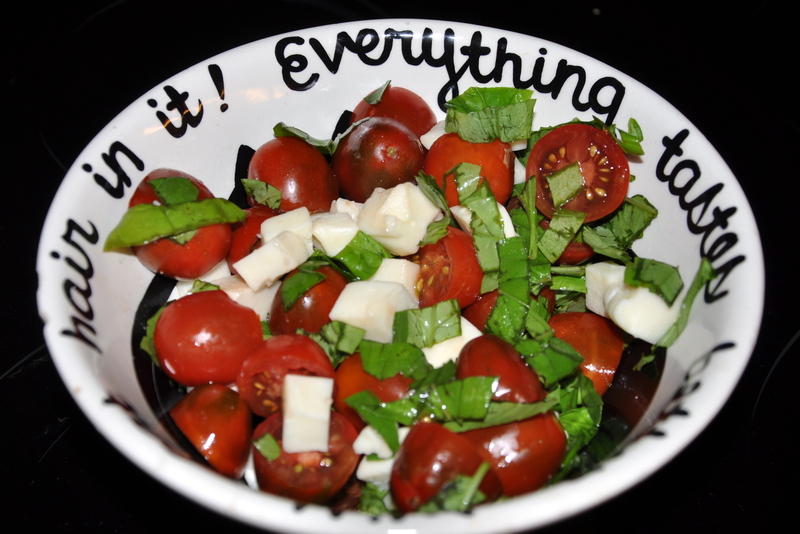 We ate them raw and in salads, sliced between sandwiches and Mike made the surplus into salsa. Oh yum. 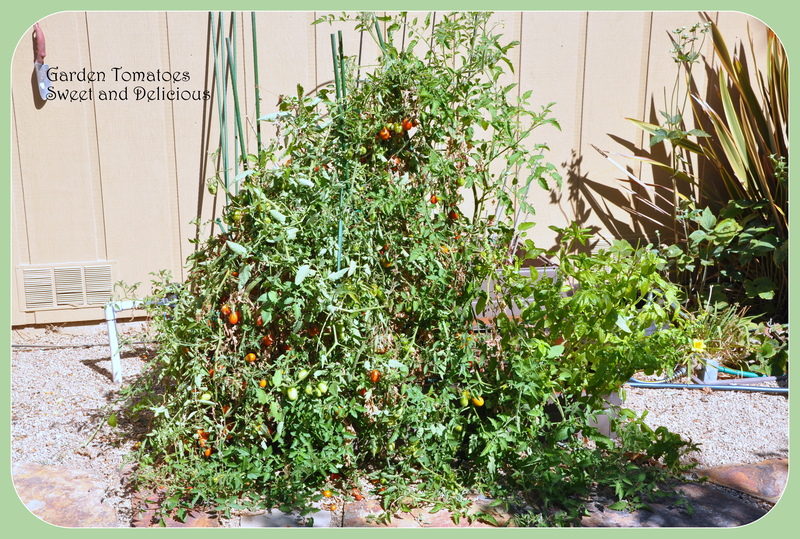 Alas, tomatoes are a summer annual and they’ve come to an end. 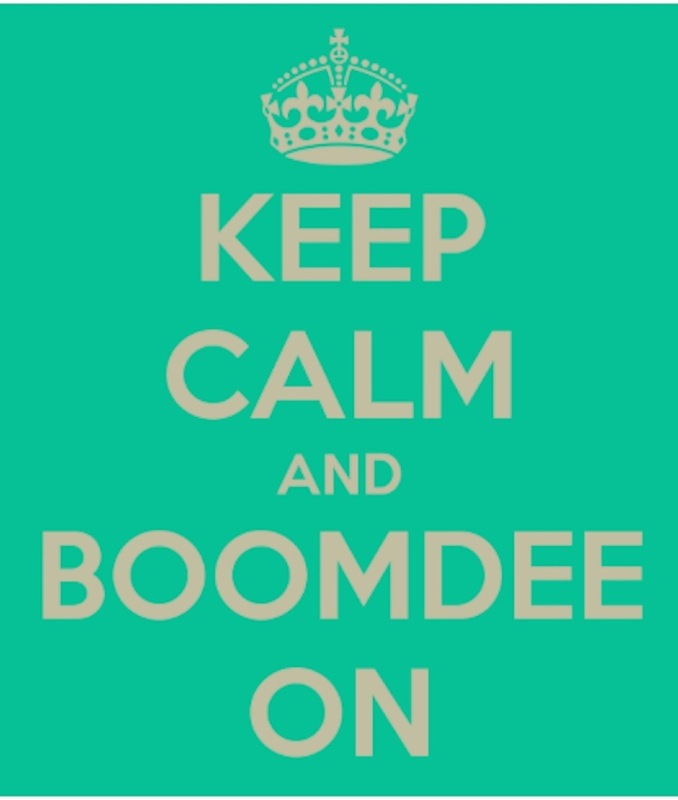 Here in the Northern Hemisphere, fall is just a couple of weeks away. It’s time for the tomato swan song. The plant is still pumping out fruit, but the lower leaves are browning and the fruit isn’t nearly as sweet. I collected a huge bowl earlier this week, washed them and popped them in the freezer. 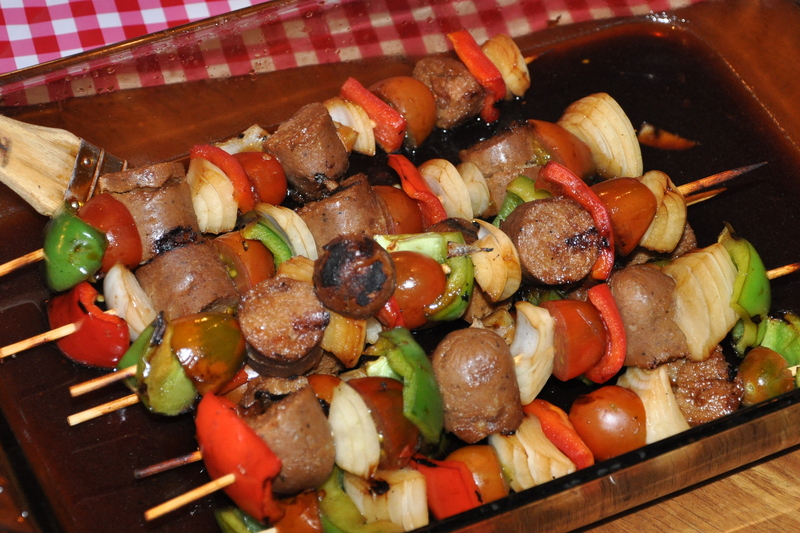 We’ll be able to enjoy them in another salsa or sauce. I harvested some green tomatoes as well, and put them in a paper bag. 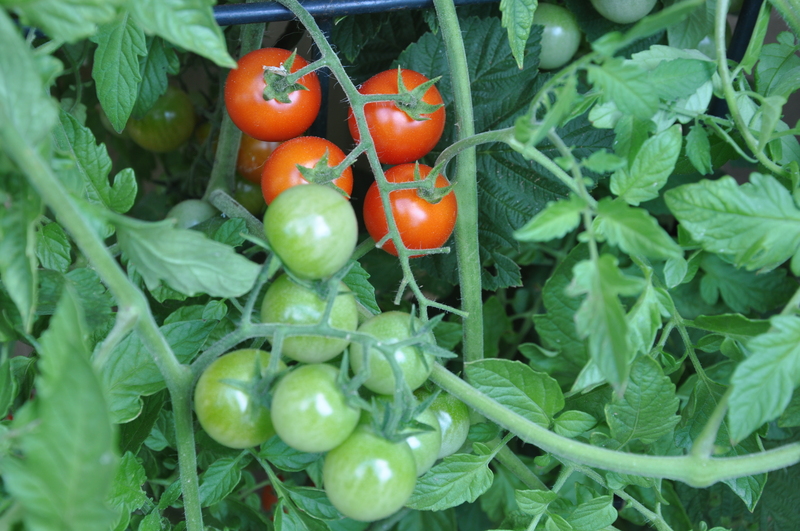 If green tomatoes have released a gas called ethylene then they’ll continue to turn red. Otherwise they’ll remain green. The bag simply traps the gas and allows nature to follow its course. 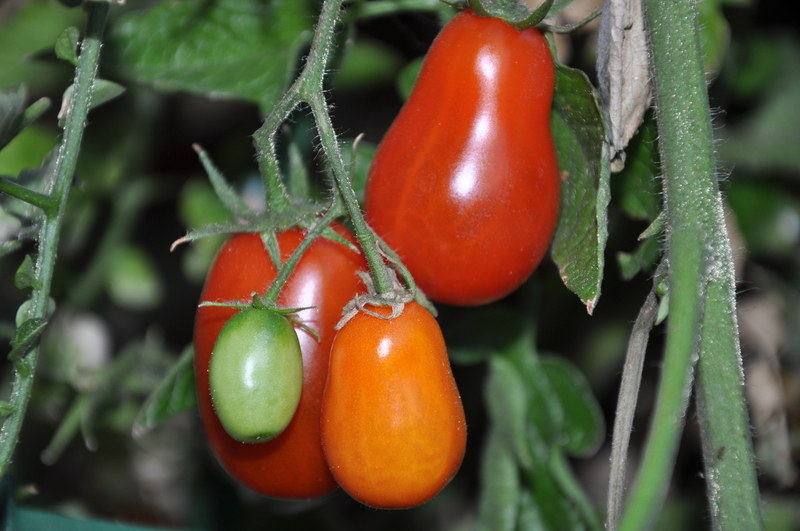 The main determiner in how fast a tomato turns red is the variety. 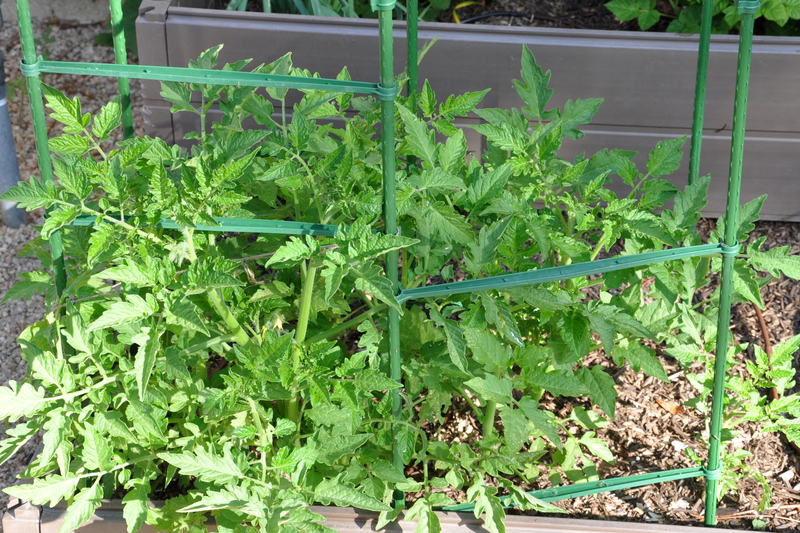 It will determine how long it takes for a tomato to reach the mature green stage. 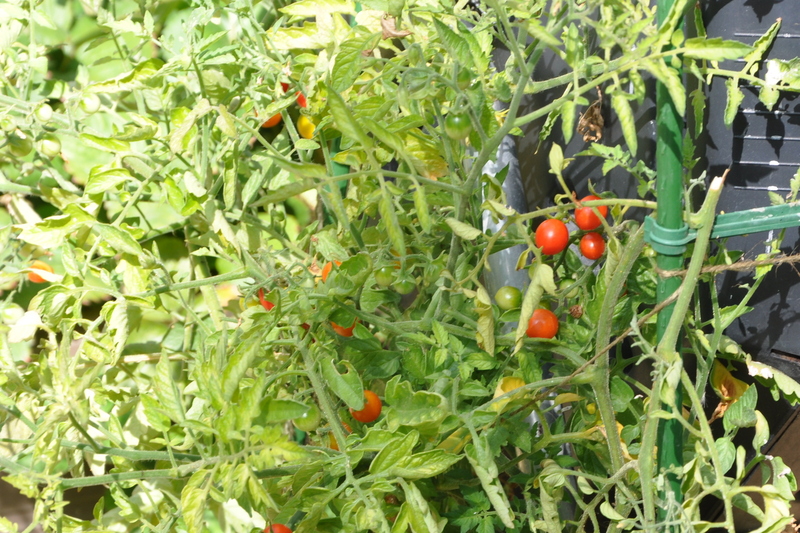 Tomatoes cannot turn red, even forced by modern technology, unless it has reached the mature green stage. Another factor is the outside temperature. 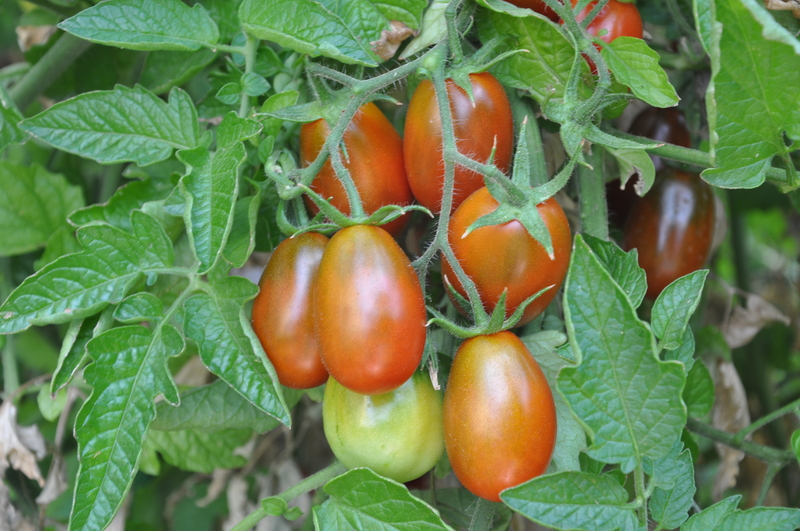 Tomatoes will only produce lycopene and carotene, two substances that help a tomato turn red, between the temperatures of 50 and 85 F. (10-29 C.) If it is any cooler that 50 F./10 C., those tomatoes will stay a stubborn green. 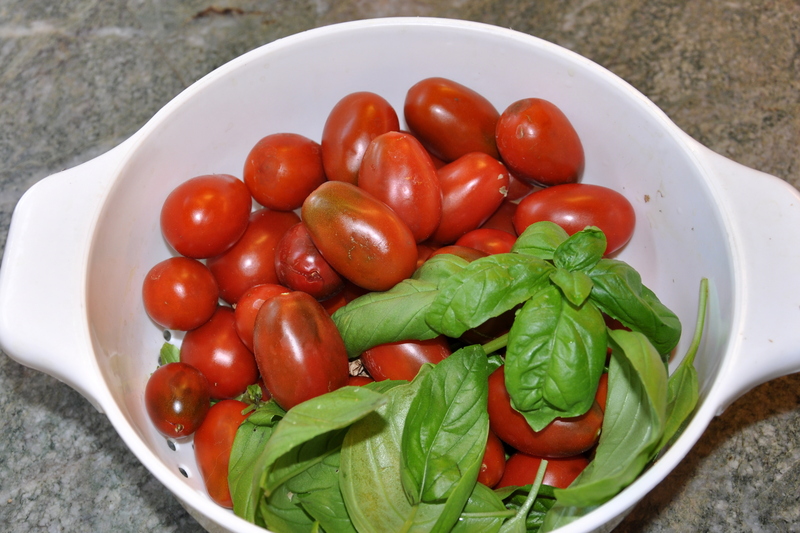 Any warmer than 85 F./29 C., and the process that produces lycopene and carotene comes to a screeching halt. 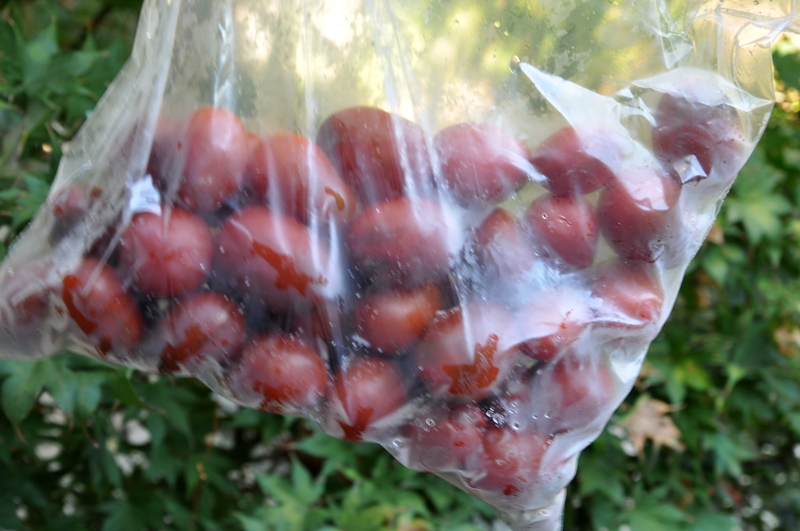 If you find that your tomatoes fall off the vine, either knocked off or due to frost, before they turn red, you can place the unripe tomatoes in a paper bag. 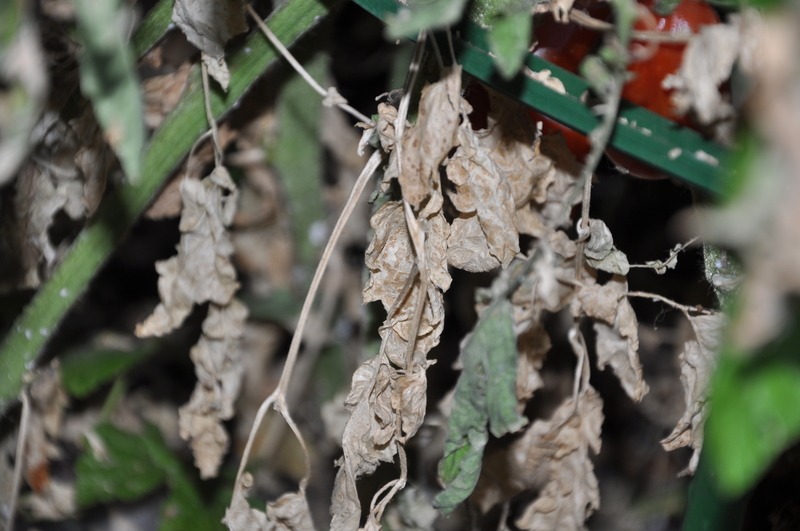 Provided that the green tomatoes have reached the mature green stage, the paper bag will trap the ethylene and will help to ripen the tomatoes. This year’s crop planted themselves. I call them ‘volunteers’, seeds unintentionally planted thanks to the wind or a bird dropping seed. They’re often the healthiest plants in the garden. So while I’ve saved some seeds, I’m also lobbing the occasional tomato back into the veggie box, hoping they’ll plant themselves again next year. Sometimes, a gardener just needs to get out-of-the-way. It pays to have connections. Especially when we’re talking tomatoes. Seeds that is. Heirloom Seeds. 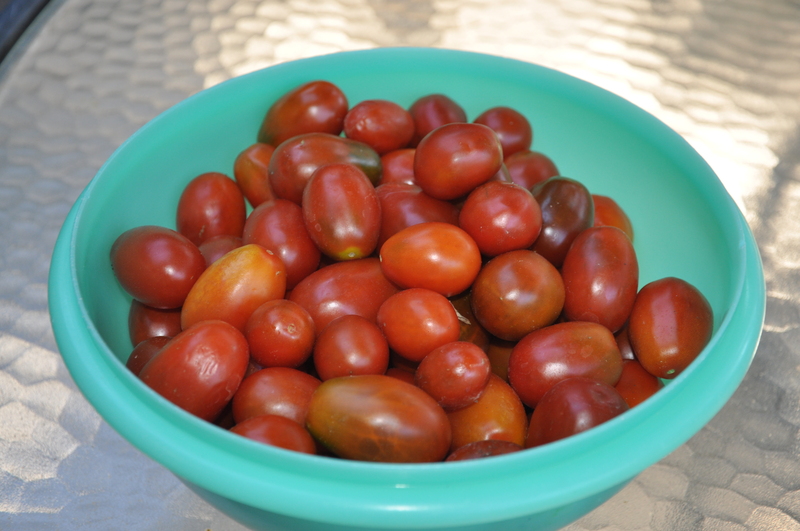 Tomato Cherokee Purple: The best for salsa. An old Cherokee heirloom, pre-1890 variety. Dr. Wyche’s Yellow: One-pound fruit. Oh me oh my! Black Giant: Big, purple-black fruit grown on “highly productive” vines. Seed Bank West coast home of Baker Creek Heirloom Seeds, housed in a 1920’s historic building in downtown, Petaluma, California. Almaden Valley Nursery Locally owned garden nursery in San Jose, California. Baker Creek Heirloom Seeds Offers 1400 heirloom seeds (non GMO). Paul Robeson: All-American athlete, singer, actor and civil rights advocate for people around the world.